For anyone in #Perth just bursting with Christmas spirit, you might want to read on. 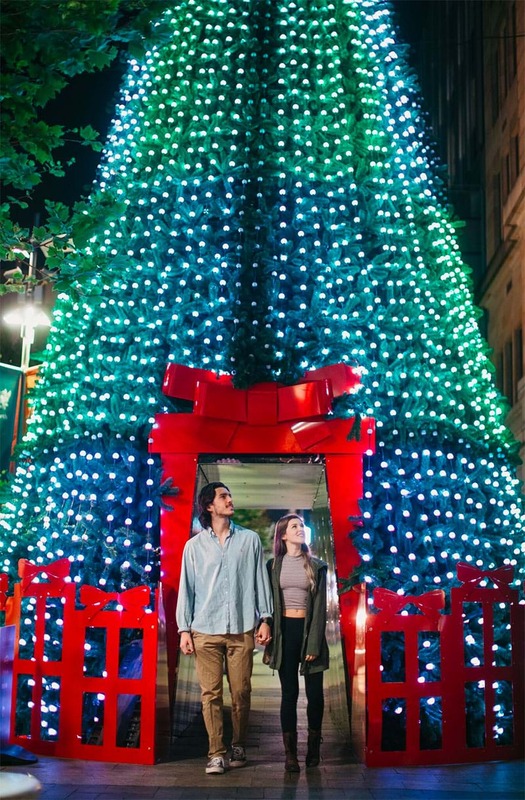 The City of Perth have erected not one, but two fantastic Christmas Lights Trails that allows punters to create their own magical journey on any night in the lead-up to Christmas. If that doesn't scream Christmas spirit, we don't know what does. The City of Perth have sent us the finer details, and it's fair to say there are a few options on offer. All on show from 6pm each night. We told you there were a few options to check out. The City is also celebrating Christmas pretty much the entire month of December. There’s Festive Flicks at the Northbridge Piazza, the Twilight Hawkers Market, Brass on the Grass and of course, the Christmas Nativity in Supreme Court Gardens. Plus, you can catch Santa roving at most of these events! For more details - head to the Visit Perth website.